We love the summer, and so do our guests! We love it so much that it’s all we can think about even though spring just started. The sun, the time off, the…heat. Oh, that’s right, summers in Florida can get pretty hot. Luckily, the wannaB has plenty of ways for you to enjoy the beautiful summer and stay cool. It’s no wonder why so many of our guests love staying here during the hottest months of the year. So, if you can’t handle the heat, there’s no need to get out of the kitchen…just move to somewhere a little cooler. We’ll show you how. One of the best ways to avoid baking out in the sun is to take a dip in the water! 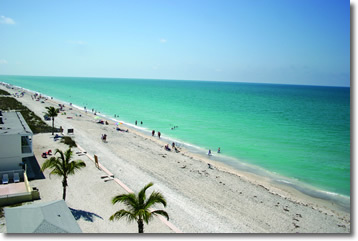 Luckily, the wannaB faces roughly 900’ of beautiful, Gulf of Mexico facing beachfront. Of course, it’s important to make sure you’ve applied (and re-applied) the appropriate amount of sunscreen – the water may make you cooler, but it won’t stop the sun’s rays – but there’s nothing more refreshing than taking a dip in the water when it’s a hot 82° outside. Not a fan of swimming in the ocean? Then you’re the perfect candidate for plunging into one of our two on-site pools! Both pools are outfitted with gorgeous Sun-decks and are within close walking distance to all of our accommodations. Why Not Add Some Fun in the Sun? There’s plenty of fun to be had with sports around the wannaB, but when it starts to get really warm out there, nothing beats the cool breeze in your hair while you’re riding the waves in a stand-up paddleboard or kayak. Our guests love getting out and exploring Lemon Bay. Once you’re there, why not stay for a while and check out Lemon Bay Park? This beautiful park includes a boardwalk where you can observe the mangroves along the bay, and if you happen to walk down one of the many nature trails, you might just catch a glimpse of a bald eagle nesting site! A quick stand-up paddleboard or kayak trip with the family is all you’ll need for an afternoon of fun in the park’s natural shade. Of course, the water is going to keep you cool while you’re in it, but eventually you’ll have to get out to keep yourself fed. Luckily, just a two-minute drive (ten-minute walk) from the wannaB is the Sand Bar Tiki & Grille. This tiki themed restaurant is a favorite of our guests and offers a wide selection of specialty drinks to help you cool down on a hot summer’s day! The extensive drink menu can be previewed right here, but our favorites are the frozen ‘Don Julio Margarita’ and ‘Captain Morgan Pina Colada.’ These chilled drinks are sure to cool you down inside and out and can be a great way to finish off a day in the water. 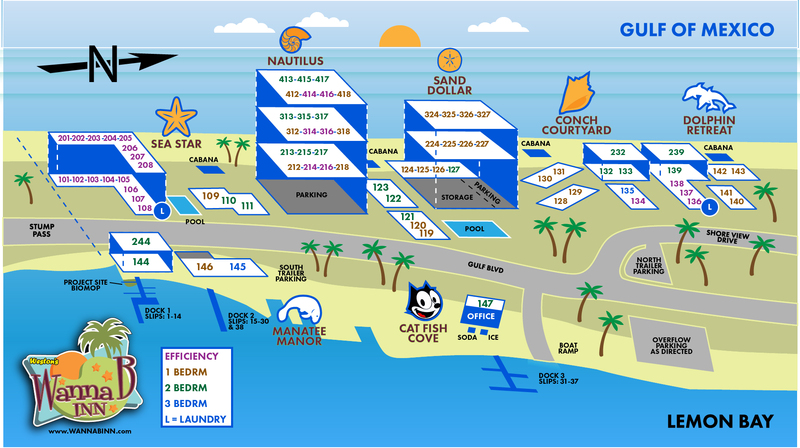 If you want to get out a little earlier though, the Sand Bar offers Happy Hour from 11am-6pm, with live entertainment every day! Plus, it’s not just drinks. The Sand Bar has a huge lunch and dinner menu that’s sure to satisfy any craving! A day of excitement and trying to stay cool is sure to tire anyone out. Luckily each one of our delightful accommodations are incredibly comfortable and rich in charm. You’ll love to call your room home each night, due not only in part to the fact that every room comes equipped with an air conditioner unit. This may not seem like a big deal when planning a vacation, but trust us, you’ll be thankful you thought about it when you feel that refreshing chilly air as you’re drifting off each night. It’s a small, but important luxury that we’re happy to offer during your stay. The weather in Florida is beautiful all year round, but it’s true that some months can get hotter than others. As long as proper precautions, such as: wearing light clothing, staying hydrated, and making use of sunscreen are followed, then the heat is more than manageable. In fact, plenty of our guests prefer to stay with us during summer because its so warm, and if it gets too hot, there are plenty of ways for you to stay cool. So, if you’re looking ahead to your summer vacation, don’t let the sun scare you off. We love the summer at the wannaB inn, and we know that you will too. We can’t wait for you to experience it for yourself. To check for available summer dates and rates, and to book your vacation now, click here! resort. However, most our activity recommendations happen to take place during the day. Short of a round of golf after dark, we find that some of our guests are asking, “what is there to do after one of your famous wannaB sunsets?” We’ve found one thing that plenty of people enjoy is checking out some live music at one of the many local bars and restaurants near us. It gives guests a chance to experience some local cuisine while they enjoy an evening of performance, which is always a great time. In fact, with the weekend approaching, an opportunity to catch a live show is on the horizon, and we’ve got just the event to recommend. One of our favourite local spots, the Mango Bistro, is hosting a show put on by rock group, The Bird Tribe, this Friday, March 16th, and we think it’s going to be worth checking out. The Mango Bistro is a short ten-minute car ride from our accommodations, at 301 W. Dearborn St. (right near the Englewood Farmers’ Market). Foodies will love the Mango Bistro, as they offer a variety of options from breakfast through dinner. We love their specialty crepes, but if you’re looking for something a little spicier, they also have a wide selection of burritos available. 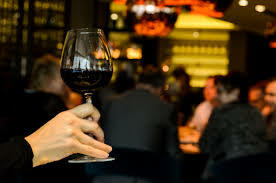 The bistro also offers an exciting and extensive list of domestic and imported wines if you’re looking to cut a little loose! The restaurant’s full menu can be seen right here if you’re looking to plan your evening ahead of time. Not only is the Mango Bistro a delicious little spot to have your next meal, they also host regular live music and other events which are always a hoot. Coming up this Friday, March 16th, The Bird Tribe will be performing their brand of modern rock, groove and soul music. The Mango Bistro is the perfect location to have a meal, and then stick around to enjoy a live show with a glass of wine (or two). The Bird Tribe come from a lineage of prolific musicians, as keyboardist Matthew Frost was taught since the age of three by his father – the original keyboardist for Grand Funk Railroad and performer in the Bob Seger Band. You can check out some samplings of their music on their website right here. Plus, The Bird Tribe aren’t the only ones performing this weekend. Fever Tree, a group of three soulful songwriters will be coming together to perform at the Mango Bistro this Saturday, March 17th, during the bistro’s St. Patrick’s Day Celebration. The restaurant will be serving corned beef and cabbage as part of a dinner special to celebrate the Irish holiday “Mango Bistro style.” Can’t make it to either show? All of the Mango Bistro’s upcoming events can be seen right here. We can’t wait to see you. To book your vacation at Weston’s wannaB inn today, click here. And don’t forget to follow us on Facebook, Instagram and Twitter so you don’t miss a thing! If you’re looking for something fun to do after the Sun goes down, then think about taking a trip down to the Mango Bistro to check out one of their exciting upcoming shows. 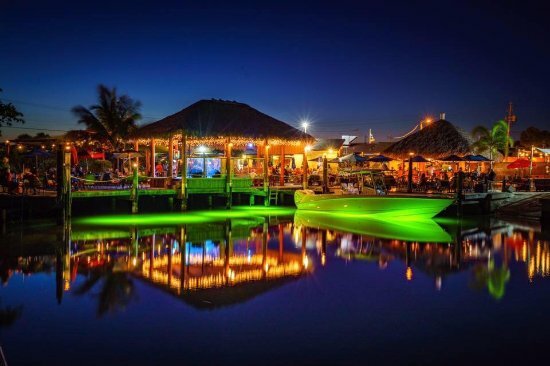 From the delicious offerings on their menu, to all the entertainment they’ve got lined up, and being just a few short minutes away, we know you won’t be disappointed in their part of the Florida night life! we’ve got tons of fun activities for you and the young ones to enjoy. If you’re coming down here with a group of friends to make a sunny escape, we might recommend an afternoon of fishing, and then unwinding at the nearby Sandbar Tiki & Grille. But did you know that the wannaB inn can also be the perfect romantic getaway for you and your sweetheart? Since it’s Valentine’s Day and all, we thought we’d take you through a “tour of love,” as it were, and let you in on what couples love to do when they stay with us. Whether you’re a Florida local, or you’re staying with us from out of town, it’s impossible not to notice the majesty of our resort. The wannaB inn has over 900’ of Gulf of Mexico facing beachfront for you and your better half to enjoy sunbathing, or a romantic hand-in-hand beach stroll. You can even end the day by catching one of our world-famous sunsets. We can’t think of a more beautiful way to end a romantic day with your partner than by gazing at a nightly natural wonder. There are no shortage of decadent delicacies surrounding our resort for your dining pleasure, and there’s no better way to spend your evening with your significant other than enjoying delicious meal and, if you’re into that sort of thing, a bottle of wine. 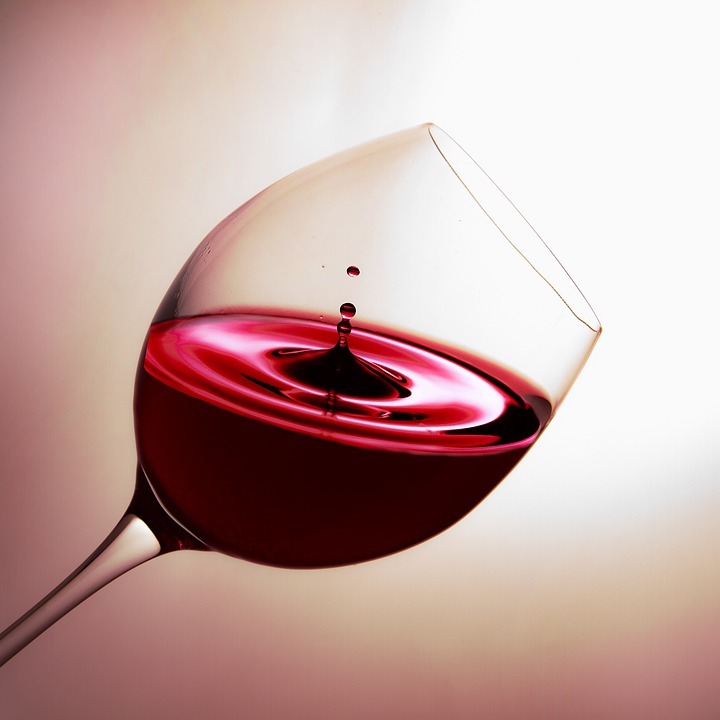 There are plenty of great restaurants in the area we can recommend, but if you’re staying with us on Valentine’s Day, then we suggest checking out Vino Loco Wine & Gourmet. Located less than fifteen minutes from the resort, Vino Loco is hosting a Valentine’s Day dinner, where they’ll be cooking up a special Valentine’s Day menu for the occasion, paired with a great selection of wine, sure to make this Valentine’s Day unforgettable. No one’s happier than when they’re relaxed, and one of the best ways to relax is to treat yourself to an afternoon of pampering at one of the several spas located around the wannaB. However you choose to relax, rejuvenate or re-energize, one of these spas – each in close proximity to the resort – will be able to help, and there’s no better way to enjoy this relaxing experience than with a partner of your choosing. These are only a few ways to spend time with the one you love at our resort, but the important thing is that no matter what you choose to do while at the wannaB, you do it together. 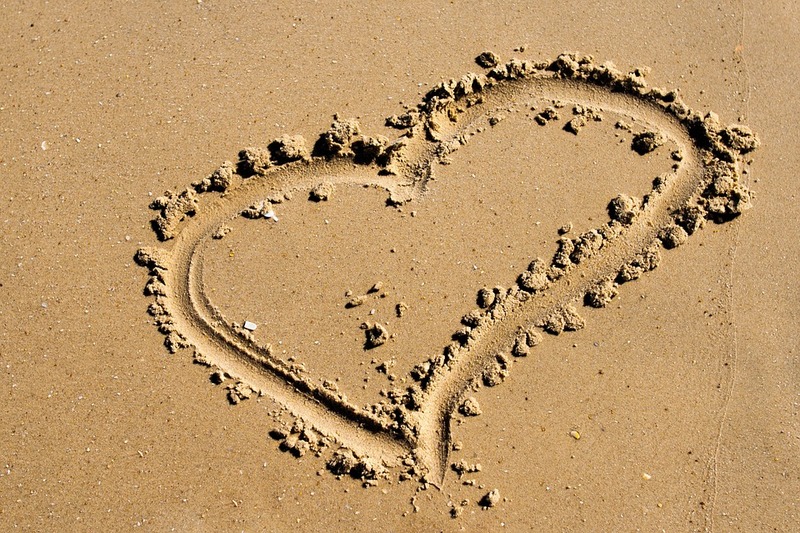 Have fun, explore the area, laugh, relax, but most importantly…love. It’s that time of year after all. Happy Valentine’s to all the couples out there. We hope to see you soon! To book your vacation today, click HERE, or call 941-474-3431 for details. There are plenty of things to keep you occupied during your stay at the wannaB. Whether you’re a fishing person, explorer, sports-fan, or just a relaxer (which there’s nothing wrong with, of course) there’s one thing that unites us…we all gotta eat. Here at the wannaB, we love food, and it just so happens that we’re privy to some of the best – and freshest – food around. Like the Englewood Farmers’ Market, which operates just a mere twelve minutes away from our accommodations. Fine food is one of the best things about a vacation, and it doesn’t get much finer than what’s offered at the Englewood Farmers’ Market. One of the best things about the Englewood Farmers’ Market is that you’ll have more than one opportunity to catch it during your stay. It’s open every Thursday from October through May, from 9:00am until 2:00pm. The Market is a culinary hot-spot too, as local and organic produce, baked goods, seafood, dairy, plants, herbs, prepared foods and more are for sale each week. Whether you enjoy preparing a meal, or just eating one, you’ll be able to find something to your liking at the Farmers’ Market. It’s not just about the food either, The Farmers’ Market is fun too! It’s been described as THE event of the week, and it’s located in the heart of the historic Dearborn St. in Englewood. So, whether you feel like picking something up or not, you can have an enjoyable time walking through Dearborn, taking in the gorgeous Florida weather. sourced from local farmers, seafood is fresh caught from local fishermen, and all the breads are baked fresh from seven gourmet bakers who even offer gluten-free options. All of the vendors can be found right here, but take it from us, you’re going to love the fresh ingredients offered at the Englewood Farmers’ Market. And what do you do with ingredients? The Englewood Farmers’ Market website suggests over a dozen recipes for you to try out using the fresh products purchased from the market. 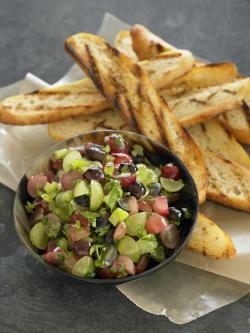 They all look delicious, but we’re partial to the grape & avocado salsa – a very summery snack that doesn’t take much time to prepare, so once you’re finished, you can get back to relaxing. But hey, while you’re here, why not try out all the recipes that catch your eye? Our rooms are outfitted with full kitchens, so you can cook to your heart’s content! The Englewood Farmers’ Market really is a wonderful way to spend a Thursday afternoon. In fact, we wouldn’t be surprised if you make it a destination on more than one occasion during your stay with us. A dinner cooked with these fresh ingredients is the perfect compliment to a relaxing day at the wannaB. We look forward to seeing you, and to hearing all about what you’re going to cook for dinner! Don’t miss a thing! Follow the wannaB inn on Facebook, Twitter, and Instagram! And for more ideas about what to do while you stay with us, stay tuned to wannabinn.com. Calling All Sports Fans! The wannaB inn is For You! GAME ON! Without question, one of the best things about Weston’s wannaB inn is the ability to get outside and have some fun, while the rest of the world stays cooped up indoors to stay warm. And what better way to experience the beautiful outdoors than with a little friendly competition? There are plenty of ways to spend your days at our resort, but one thing we find our guests really love, is getting out for a game of golf, catching (or playing) some baseball, or enjoying an afternoon of Pickleball. At the wannaB inn, every season is sports season, and we know that that competitor in you will love every second of it. One of the biggest activities around here is baseball. Our resort boasts over 900’ of gorgeous gulf facing beach-front, so there’s more than enough room to get out for a game of catch. 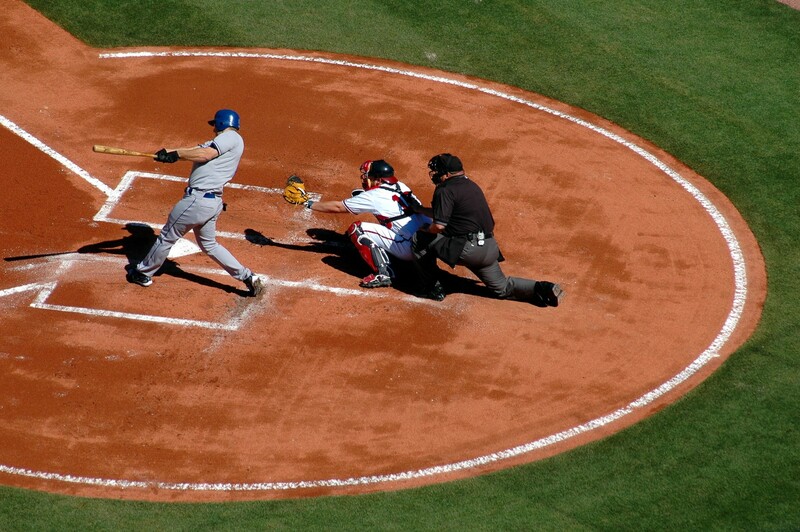 If you’re more into spectating, Spring Training is just a few short weeks away. This year, 15 teams are venturing to Florida to prepare for the regular season, from mid-February through March. More info can be found here. Then the Charlotte Stone Crabs season kicks off in April and runs through mid-September, so catching a game while you’re here is more than doable. If golf is more your speed, then you’re in luck. 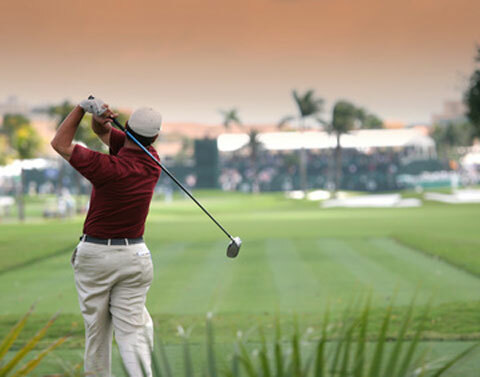 With 15 courses all within ten miles of the resort, a great 18 holes is never more than a few minutes away. There’s something for any player’s schedule or skill level too! Many of the nearby golf courses offer on-site dining options, and The Cove even features stadium lighting, so if you can’t make it out to the course until after dark, you’ll still be able to play. Golf has always been a favorite among our guests, so we know you won’t be disappointed with the variety of courses available. Another local favorite is pickleball, and with the Englewood Sports Complex not 15 minutes away from the resort, getting out for a rally is super easy! The Englewood Sports Complex offers five Pickleball courts (3 indoor, 2 outdoor). Best of all, you don’t even need to bring your own equipment, as they provide paddles and balls. Not to mention, their outdoor courts are free to use! If you’re a Pickleball enthusiast, then you’ll find it quite difficult to pass up playing a few rounds while staying with us. There’s always plenty to do while staying at the wannaB inn. Whether you’re just looking for some relaxing outdoor activities, or you want to tap into your competitive side, we guarantee you’ll find what your looking for in a vacation here. Sound like fun? The check out our available dates and rates and book your vacation today! And don’t forget to follow us on Facebook, Instagram and Twitter so you don’t miss a thing about the wannaB inn!